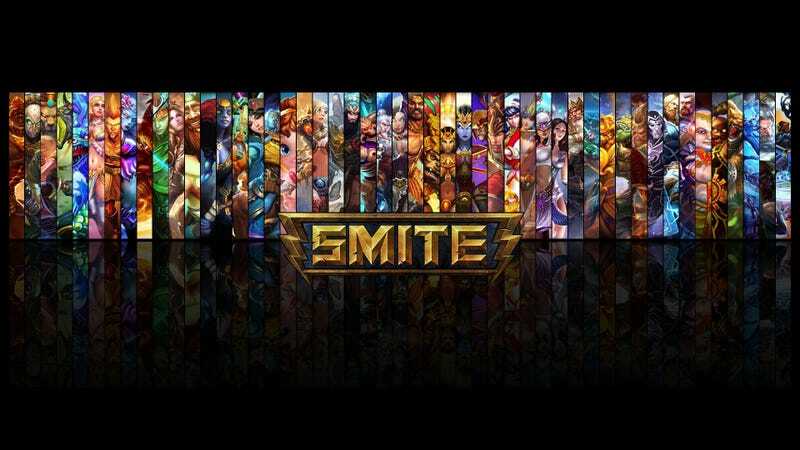 Today millions of players around the world celebrate the first birthday of mythological MOBA Smite, the first game Hi-Rez Studios has been able to keep players interested in for an entire year. While the game's been in beta since 2012, it wasn't until March 25 of last year that the game launched wide, introducing players to a more action-oriented sort of multiplayer online battle arena game. It's third-person camera and distinct lack of click targeting make for a very fresh experience, one perfectly suited to consoles, hence the game coming to Xbox One later this year. In the past year Smite has added 12 new gods, bringing the total to 63 (with demigoddess Medusa joining the crew shortly), expanded into South America and Asia, and held a $2.6 million world championship tournament. So they've been busy. To celebrate Smite's one year anniversary, Hi-Rez will be hosting an AMA on Reddit today (that would be here) at 1PM Eastern time, centering around the Xbox One version of the game. From now until Friday the Ultimate God Pack—a bundle containing every god released and every god to come for the life of the game—is discounted to $19.99 from $29.99. If you ever plan on playing Smite on PC or Xbox One I highly suggest picking it up. Pre-release god skins will be 50 percent off, and all gem bundles will award virtual currency to use in the game's shop. Then from Friday through Sunday all gods will be free to play, with players earning double worshippers per match (god experience points basically) and extra gems awarded for victory. PC gamers interested in trying out the free-to-play MMO can do so here. Xbox One owners can sign up for the upcoming beta here.